This page traces buildings that are or were on either side of Highway 100. Before the Highway became a full-fledged freeway, it was also often the same as a city street. Starting at the southern end, the Highway was the same as Vernon Ave.; Vernon Ave. became a service road in 1972. And while Vernon runs stick straight, the Highway veers to the east, so at times it runs between Toledo and Utica. The following are addresses of buildings along the Highway for which we have some historical information. The dates come from phone directories, newspaper articles and ads, census data, and other sources. The individual chronologies are by no means complete, and we invite you to contact us with any corrections, additions, or other comments. Most important, if you have photos of any of these buildings, especially if they are gone, please share! Those marked with an * are now gone; most were removed for the widening of Highway 100. This page is only about buildings; information about the development of the Highway itself can be found Here. 1800 Quentin Ave.: This was the house of Fred Dean. 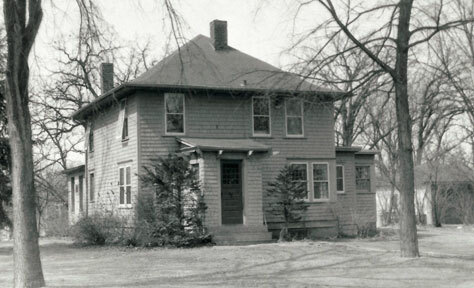 His house was moved to Princeton to make way for Highway construction in 1933-35. 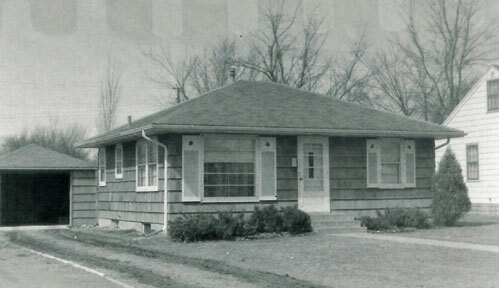 2355 Highway 100*: This fine redwood house was apparently built in 1951 and removed in 1986, probably for the expanded 100/I-394 interchange. The photo below of the front is from 1954 and the one of the back is from 1976. It was purchased in 1960 by Peter and Margaret Georgas; Peter is the son of Ted Georgas, who owned Lilac Way Candies. Peter kept adding to the house, and eventually it had an indoor swimming pool! He eventually sold it to a man who moved it to Anoka. 2361 South Highway 100: You can see a bit of this stone house at the very right of the top picture above. From 1954 to 1965 it belonged to Mitchell and Bessie Goldstein. Mr. Goldstein was a salesman for the Marlboro Shirt Co. until he retired in about 1962. Peter Georgas believes the house was demolished. 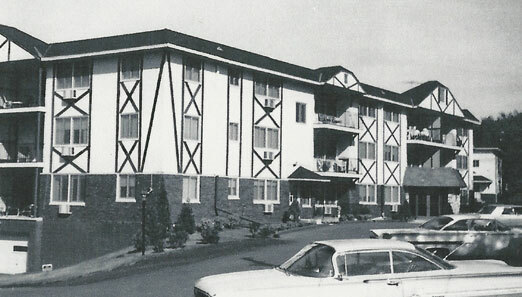 3127 South Highway 100: Brittany Apartments, 1966. Built and/or owned by Alan Rubel. 3501 South Highway 100: Westinghouse Electric Corp., 1954. Lamp Division – lightbulb distribution center. Part of Belt Line Industrial Park. 3601 South Highway 100: Hedberg-Friedheim & Co. Now the address of Target. 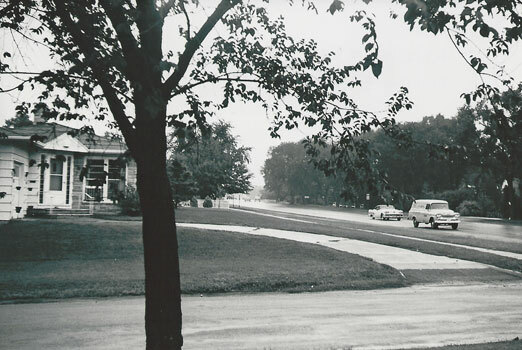 Between about 36th Street and Excelsior Blvd., Wooddale Ave. was kind of a service road to Highway 100. Click here to see the buildings and businesses that were on either side of this thoroughfare. 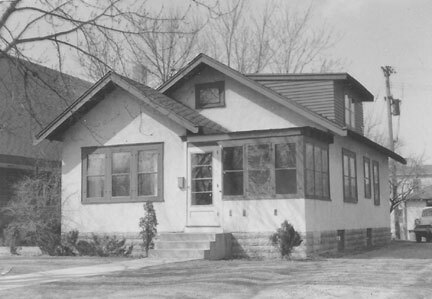 4001 Vernon: 1933 * Home of B.H. and Lavinia Klooz, who got a special permit to build a house in 1933. 4023 Vernon was the address of the Tourville family from 1935-37. The year before, their address was listed as 4053 Vernon – did they move or did the address change? William G. Flink owned the land in 1926. 4025 Vernon was owned by Ellen Arendt in 1926. We do not know if there was ever a house here. This is no longer an address. 4029 Vernon was owned by Ada Burch in 1926. We do not know if there was ever a house here. 4033 Vernon was owned by Nels Sondvigen in 1926. No evidence of a house. 4037 Vernon was owned by Elise L. Faust in 1926 and until at least 1948. We do not know if there was ever a house here. This land is now a parking lot. 4041 Vernon was a house of unknown origin. 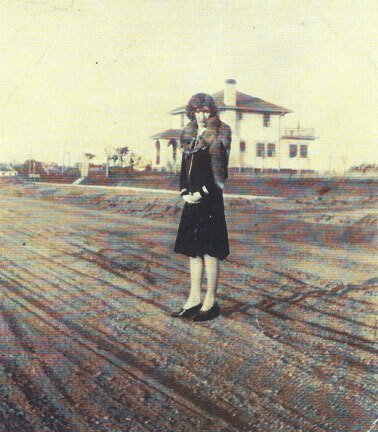 Hildur E. Nelson owned the land in 1926, and L.M. and Leona Russell had the water connected in 1940. 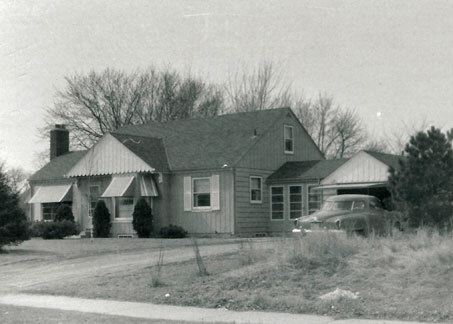 In 1958 it was rezoned from residential to limited commercial. By 1961 it belonged to Nickels and Smith and was used as the Richard Johnson beauty shop. 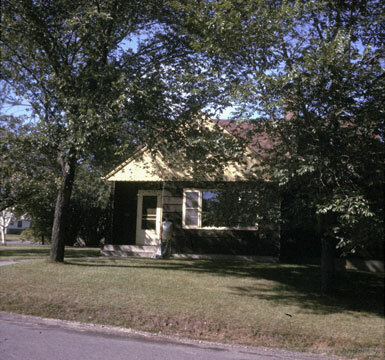 In 1968, Nickles and Smith had the house moved to Osseo, and the land is now used for a parking lot. 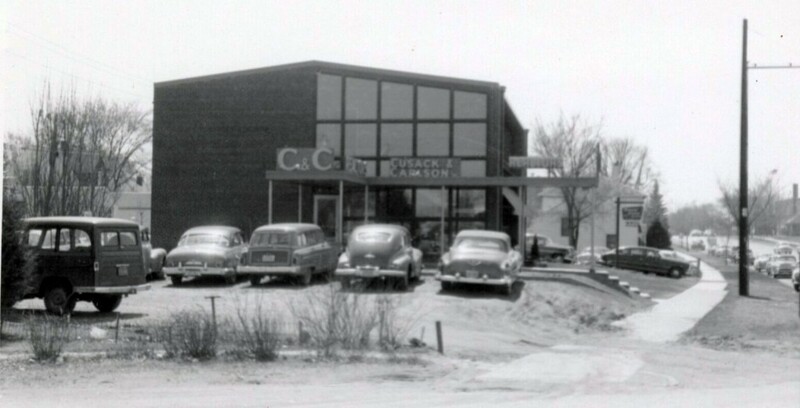 In 1953 the C & C Building was built on this property. It was also known as the Nickles and Smith Building. 4045 Vernon: 1934. This was the home of the (in)famous Percy Ross from 1946 to 1967. For years there was a sign in the window that said FBI but it was too scary to check it out. 4049 Vernon: 1932. Home of Russel and Marie Kerman. Later owned by neighbor Percy Ross. This photo shows Mrs. Percy Ross at a sign positioned just north of 4059 Vernon. It proposes an office building that appears to be a precursor to the C&C Building (above). 4059 Vernon: 1908. 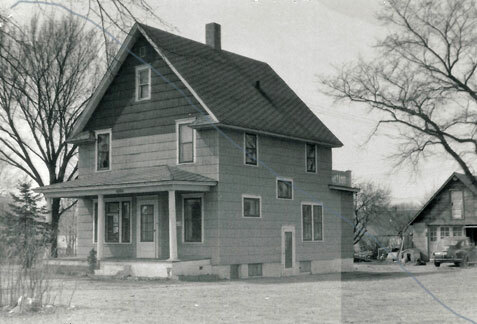 This was originally the Seirup house, located on Brunswick and Excelsior Blvd. The Seirups moved out in @ 1942. 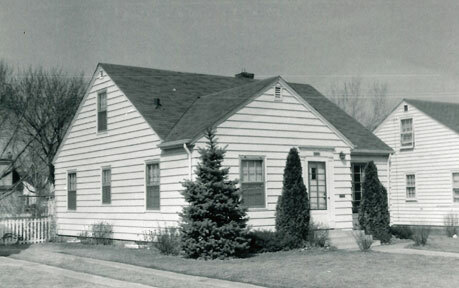 In 1956 the house was moved to Vernon Ave. 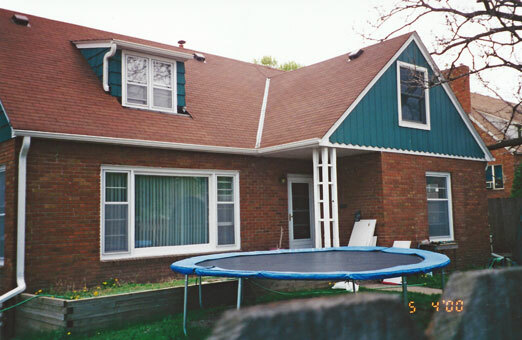 The front and back porches were removed when the house was moved and it became a duplex. 4065 Vernon: 1926. 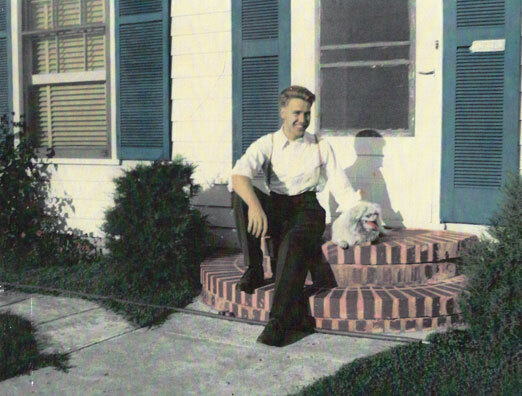 Jack and Alta May (Tow) Clark bought the house in 1927. Bill Clark was very young but says that the house was broken up into many rooms and they suspected it may have been a brothel. Frank Motzko says it was moved twice to accommodate the highway; once in 1937 and again in 1967. 4069 Vernon: 1926. Home of James and Marie Buchholz, he a wholesale clothing salesman. 4077 Vernon: 1950. Parsonage for Park Baptist Church. In the mid 1960s the entire front was taken for highway – access at rear only. 4097 Vernon: 1950. Park Baptist Church. Current address 5450 W. 41st St. No access from front. 4105 Vernon: 1940 * Home of Herbert P. and Nellie Davis, among others. This house was on the first three lots of the block; one for the house, one for a garden, and one for the lawn. 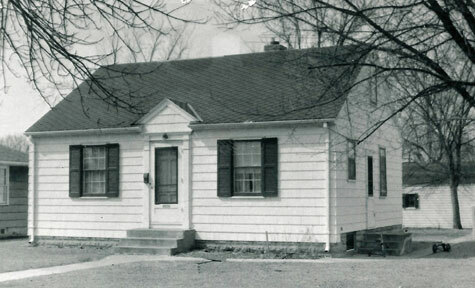 House was moved to Bloomington in 1967. Top photo below from 1958. Bottom photo of Herb Davis from September 1943, courtesy Barbara Reiss. 4113 Vernon: 1948 * V.M. 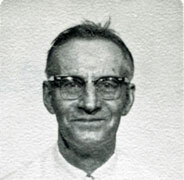 Kloss, 1949-1956; Mary M. Stott, 1957-1966. Moved away in 1966 by Carey House Movers. 4117 Vernon: Built in or before 1948 * Also known as 4119. Moved by Carey House Movers. 4121 Vernon: 1946 * Built by Kenny Hancock. Sold by Midwest Brokerage. 4125 Vernon: 1946 * Sold by Midwest Brokerage. 4133 Vernon: Built on or before 1938 – Gerald and Dorothy Oyaas, 1938-52. * On a double lot, directly across from the front door of Brookside School. Moved away by Semple Housemovers. 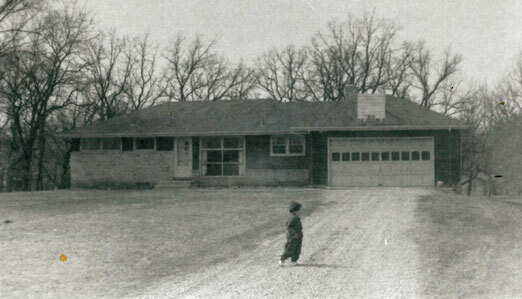 The photo below was taken from Brookside School in 1954 and shows some of the houses across Highway 100. It’s difficult to know which ones are which, but they may be 4137-4145. 4137 Vernon: 1946 * Built by or for Robert E. Eker. Moved away by Safeway Housemovers. 4141 Vernon: 1946 * Built by or for Gregg Wagner. Moved away in 1966 by Semple Housemovers. 4145 Vernon: 1946 * Built by Les Johnson. 4153 Vernon: 1927 * (Before 1942 it was 4137). 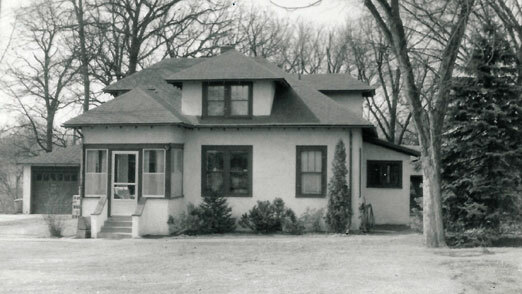 From 1934, home of George L. Brooks and his wife Annette. The large home was moved to back of lot when the highway was first paved in 1927. It was on two lots, across from the playground of Brookside School. It was Demolished in 1966 by Chies Bros. Photo below of Highway 100 taken in 1927 just before it was first paved, showing Brooks house in background. Photo and info courtesy Frank Motzko. 4157/61 Vernon: 1950 * Built by C.A. (John?) Underwood. On two lots. Home of Myer and Martha Isaacs. Moved in 1966 by Doepke Building Movers. 4205 Vernon: @1933 * Also known as 4201 and 4103. Lloyd Simon moved here from across Vernon in about 1939. 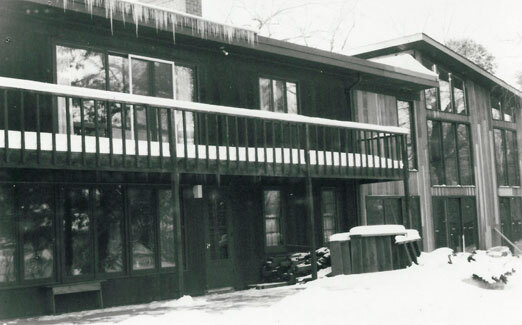 Moved in 1968. 4209 Vernon: 1946 * Built by Les Johnson. 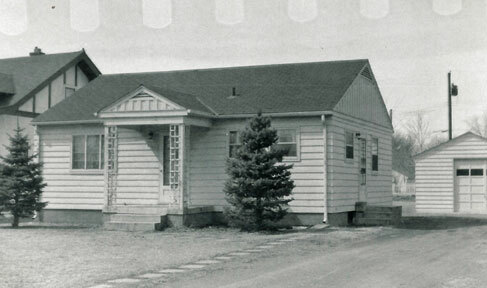 4213 Vernon: 1954 * Moved in 1968 by Ehost Moving Co.
4217 Vernon: 1954 * Built by David Botts for $7,200. 4221 Vernon: 1953 * Built by Chas. Construction (Charles Friedheim) for $9,000. Moved in 1968 by Rodgers Housemovers. 4225 Vernon: 1946 * Built by Les Johnson. Home of Donald and Patricia Slattery. Moved in 1968 by Glen Litfin. 4229 Vernon: 1953* Built by Chas. Construction (Charles Friedheim). 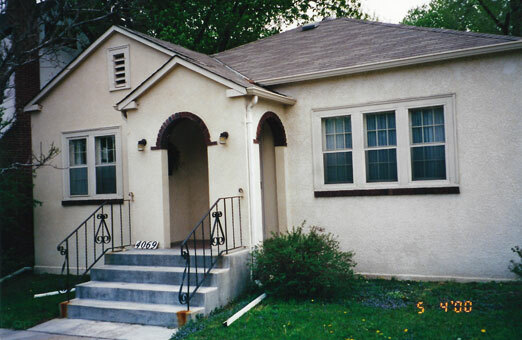 4235 Vernon: 1950* Built by Jim C. Hilduth for $8,000. Home of Ethel B. Davis. 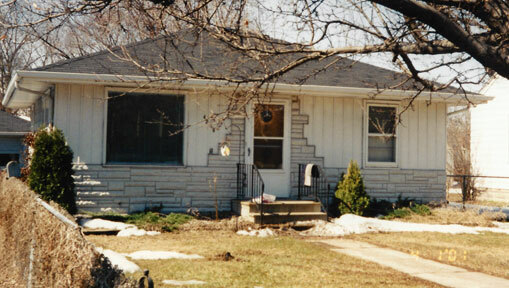 4241 Vernon: 1950* Built by Jim C. Hilduth for $8,000. Home of Carrold and Vivian Schultz. 4245 Vernon: 1946* Built by Les Johnson. Home of Stanley and Helen Mrozek. 4249 Vernon: 1946* Built by Les Johnson. Moved out of city by Safeway Movers in 1968. 4253 Vernon: 1946* Built by Les Johnson. Home of Thomas and Evelyn Le Neau. 4257 Vernon: 1951* Built by Harry Jansen for $8,000. Home of Thomas and Rose Dewey. 4261 Vernon: 1950* Home of Clarence and Clara Jenson. 4301 Vernon: ? * A Gordon Johnson is listed as living at this address in 1964, but was there actually a house here? 4305 Vernon: @1926* Also known as 4307. 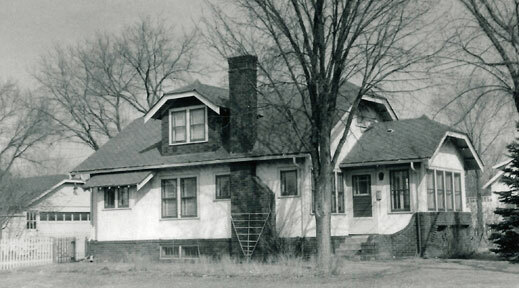 This was the home of Albert and Anna Anthony, who had owned the land since at least 1926. In 1930 they received a permit to construct a garage on the street when the neighbors signed a petition to support them. In 1944 Albert was found dead of a heart attack two days after he died. From 1945 to 1968 it was the home of Judith Hegre and her mother Marie. This old stucco house was the last on the block to be removed; in 1969 it was moved out of the city by Safeway Movers. 4309 Vernon: 1950* (photo below left) Built by Les Johnson $8,000. Home of Genevieve Ecker. 4313 Vernon: 1951* (photo below right) Built by Les Johnson $8,000. Home of Anton and Frieda Mackert. Moved away by Ernst Movers in 1968. 4317 Vernon: 1948* Built by Jon-Del Homes, Dale Mattison. Home of Raymond and Barbara Hokenson. Photo below from 1967. 4321 Vernon: 1951* Built by Frank Aretz. Home of Richard and Millie Searcy. 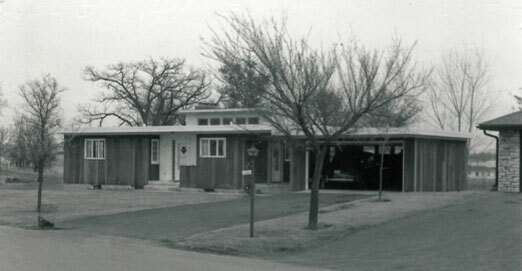 Moved in 1968 by Frank Garrison. Photo below, left, 1968. 4325 Vernon: 1952* Built by Frank Aretz, $9,000. Home of Lowell and Hilja Anderson. Built in fall 1952, Anderson found out he’d have to move in spring ’53. Moved in 1968; moving company bought for $1, moved to Glencoe. Can just see it at the right in the photo below, 1968. 4329 Vernon: 1948* First owner/builder M.O. Anderson. Home of Horace and Althea Dailey. 4333 Vernon: 1949* Built by Tuscany and Son. Moved in 1968 by Frank Garrison. 4337 Vernon: 1952* Built by Fred F. Foreman for $7,500. Home of Robert and Florence Kugel. 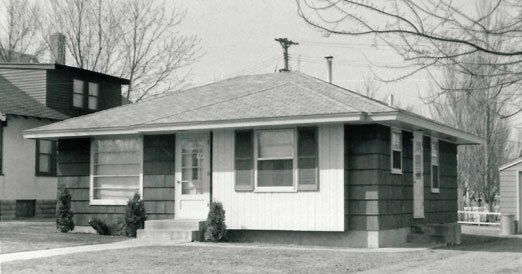 Moved in 1968 by Robin Corp.
4341 Vernon: 1948* Built by Jen Del Homes for $8,675. 4345 Vernon: 1953* Built by Chas. Construction (Friedheim). Home of Emory V. Anderson. 4351 Vernon: 1947* Built by Tuscany for Dr. Ralph T. and Grace Jones. Photo below by Emory Anderson is looking across 43 1/2 Street and south on Highway 100. The door of this house appears to face the corner. 4355 Vernon: 1947* Built by Tuscany for $11,000 for Fred M. and Ida Reitsma. Also home of Goulett and Lujan families. The garage and car of Mr. Lujan are in the photo below at far right. 4359 Vernon: 1953* Built by Paul Olson and Son. Moved to Edina. In center of photo below. 4363 Vernon: 1953* Built by Paul Olson and Son for Robert and Betty Sheehan. Home of Raymond and Constance Ring. Seen at right in photo below. 4367 Vernon: 1957* Built by Frank Fogelmark. 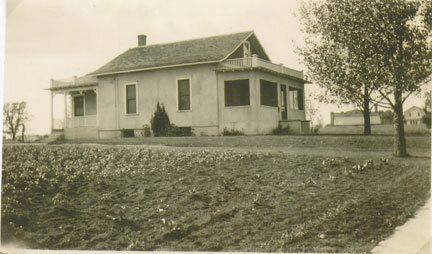 Home of Edward and Mattie Erickson. 4371 Vernon: 1948* Built by or for Harold W. Hanson. Home of Law, Ellis, and Landquist families. 4375 Vernon: 1953* Built by Paul Olson. Home of Peter A. nd Athena Psyhogios. 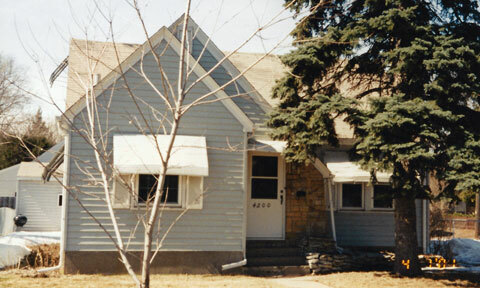 4379 Vernon: 1953* Built by Paul Olson for $12,600. Home of Marvin and Sandi Shedlov. Part in St. Louis Park and Part in Edina. 1400 South Highway 100: Church of the Good Shepherd, Summer 1946 to February 1957. Located in two Quonset huts. Now vacant land worth over $1 million. Technically Golden Valley, but on south side of 394. 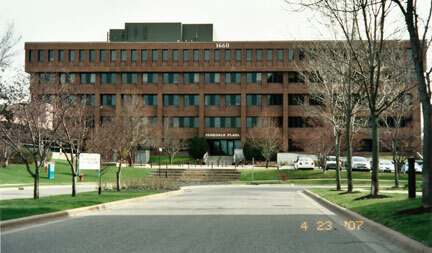 1626 Vernon: Alternate address for the Minneapolis Terminal Warehouse, Honeywell. 1660 Highway 100: 1980. Parkdale Plaza. 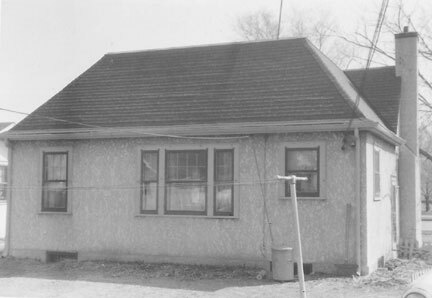 2330 South Highway 100: 1956. This was the address for the Dietene Co., “manufactures nutritional food products” according to a 1964 account. It appears in directories from 1961 to 1971. In 1961 Murry Guthrie was the proprietor, and in 1964 Donald M Doyle and William McDonald were board members. There is no such address today. 2360 South Highway 100*: This location was originally the Phillippi Equipment Co. 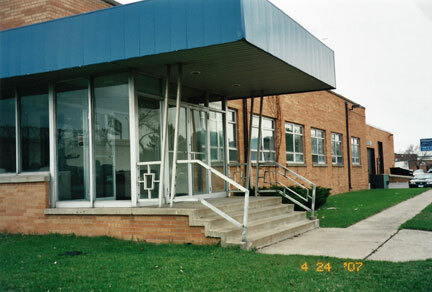 In July 1963 it was sold and the name changed to Hall Equipment Inc., headed by Willard F. Hall. The company sold International Harvester construction equipment and other heavy equipment manufacturers. There is no such address today. 2370 South Highway 100: Win Stephens Buick/new Westside VW. 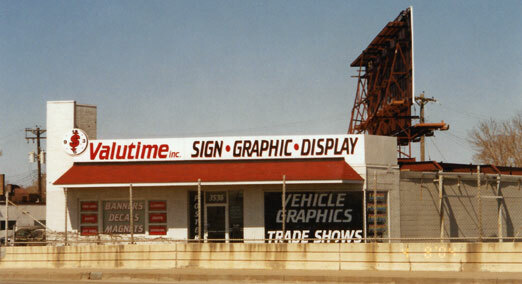 Although a new structure was built in 1993 when VW went in, the building is are still listed as 1963. These two buildings are separated by Stephens Drive. 2440 South Highway 100: Win Stephens Used Cars/Luther, 1966. 2480 Highway 10: 1967. 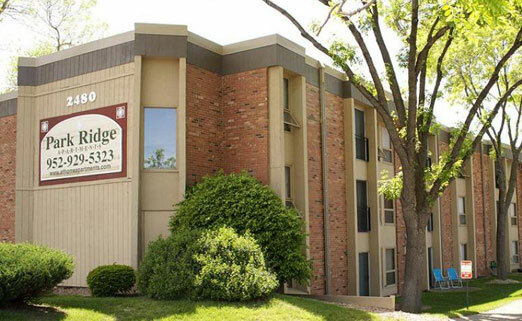 Park Ridge Apartments. Developed by Richard Neslund – 93 apartments. 2510 Highway 100: 1964. Courtyard Apartments a/k/a Park 100 Apartments. 152 units. 2544 Highway 100: 1959. Lutheran Church of the Reformation. 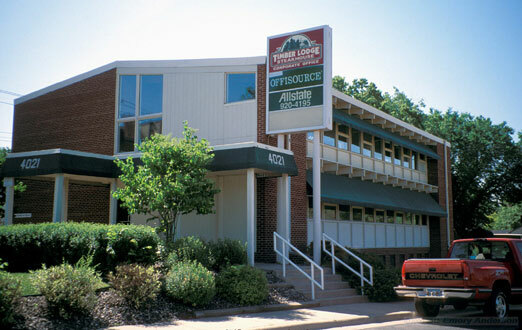 3000 South Highway 100: Minnetonka Terrace Apartments were built in 1962 at the southwest intersection of Highway 100 and Minnetonka Blvd. 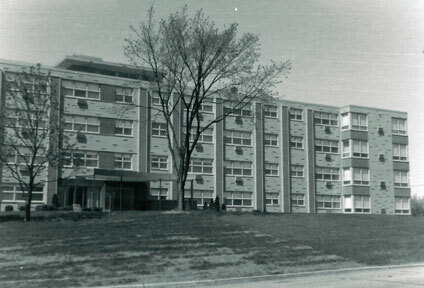 When built it had 37 units and its big drawing point was that they were all air-conditioned. 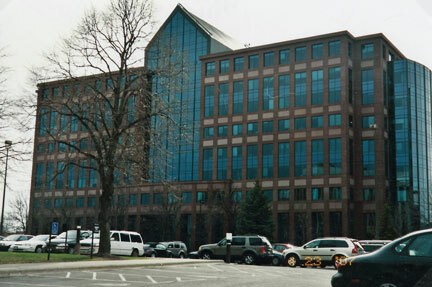 The five story building was developed by Maurice and Zollie Baratz of Bar-Ett Realty Co. of St. Louis Park. The cost was estimated to be $5 million. 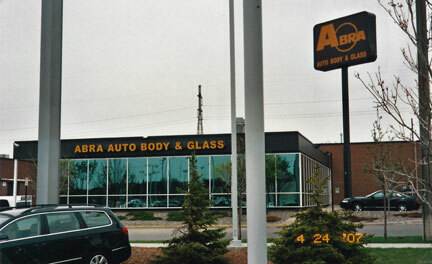 To this day it is owned by Bar-Ett Investment Company. Photo below dated June 1963. 3200 Highway 100: 1955. First built as Ethel Baston Elementary School, now Groves Academy. 3536 Highway 100: 1955. 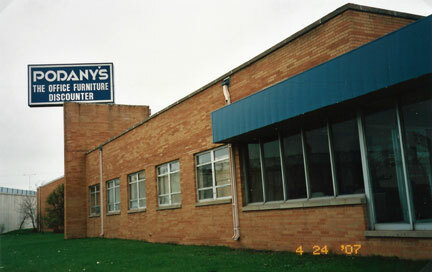 This odd-shaped building faces 36th Street and has hosted many businesses, including AARO Rental and Sales, Colonel Sloan’s Office Furniture, Suburban Electric, Valutime Signs and Graphics, and Evolve Segway. 4008 Vernon – Dairy Queen in 1950 * On the southwest corner of the Highway 100/Excelsior Blvd. intersection. 4016 Vernon * This house was built sometime before 1930. Residents from 1930 to at least 1964 were Edwin J. and Bertha Miller. It appears that they had renters through the years, or perhaps boarders. It was connected to the water main in 1940. Eddie Miller was a driver for the Franklin Creamery. 4024 Vernon: @1926 * Home of Emil and Elizabeth Smetana. Moved in 1966 by Semple Housemovers. 4028 Vernon: 1933 * Home of Clarence and Agness Hallquist. Moved in 1966 by Semple Housemovers. 4032 Vernon: 1940 * Apparently still a basement dwelling in 1952 – owner received a letter from the Village telling him to build the rest. 4036 Vernon: 1946 * Built by Les Johnson. Moved in 1966 by Ernst House Movers. 4040 Vernon: 1949 * Built by Jon Del Homes. 4044 Vernon: 1946 * Built by Cabin Craft for $7,400. 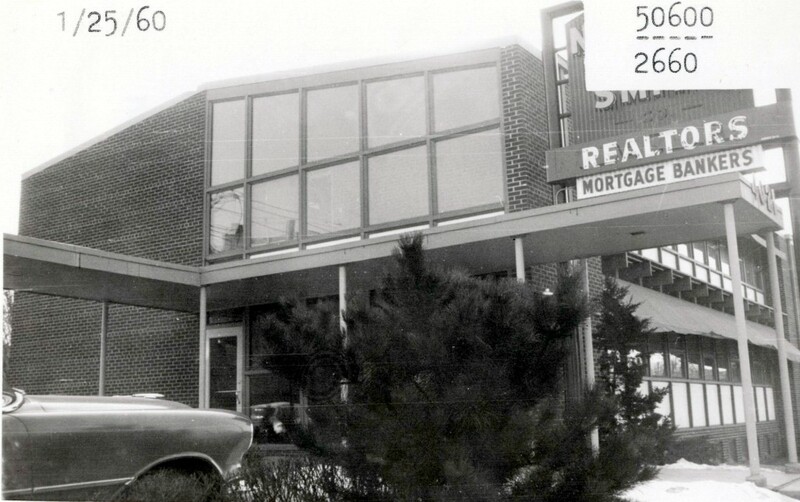 In 1966 Schwartz Construction Co. of Bayport moved it out of the city. 4048 Vernon: @1926 * Home of Alpha R. Church, among many others. 4052 Vernon * This house was built in about 1926 by Axel P. and Mollie Johnson. Axel was born in Sweden and came to the US in 1900. In the 1930 census he was shown as the owner of an auto top shop. City records also cite the names A.P. Johnson, who may have been the builder of the garage in 1929. From about 1938 to 1964 it was owned by Adolph and Esther Chamberlain. In 1962 Chamberlain was jailed for performing an abortion in Minneapolis. 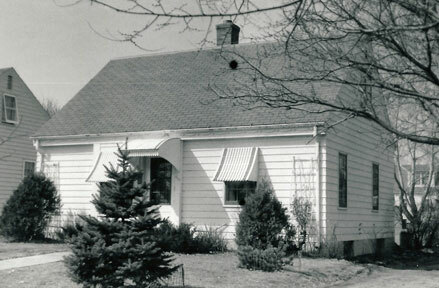 The house was moved for highway expansion in 1966. 4056 Vernon: 1956 * This was originally state land. H.E. Beach apparently built the house for $5,000. It was the home of Clifford and Ellen Johnson. 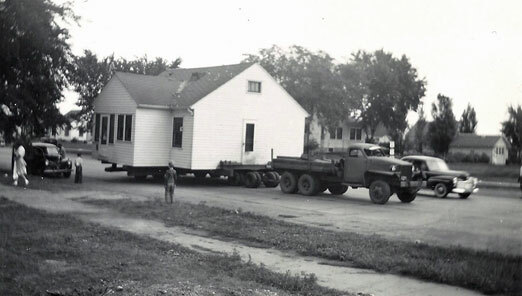 On June 29, 1966 Semple Housemovers moved it out of town. 4060 Vernon: 1941 * For many years this was the home of Dean and Sandra Berboldt, who had a tree house in the back. It was removed in 1965. 4064 Vernon: 1947 * This was the home of Peter and Magdalen Roles. It was removed in 1966. 4068 Vernon: 1947 * Built by or for Henry Clay. Home of Ralph Durst and Zella Schoenauer. 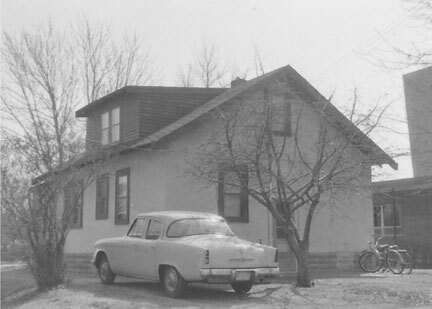 Moved in 1966. 4072 Vernon: 1947 * Built by A.H. Clay. Home of Earl Bohm. He moved out in 1963 and rented it out. St. Luke’s Church bought it in May 1966 and it was moved on June 29, 1955. 4076 Vernon * This house was built in 1929 by Albert Anthony, who lived across the street at 4305 Vernon (then Aurora Ave. until 1933). The cost was $4,000. 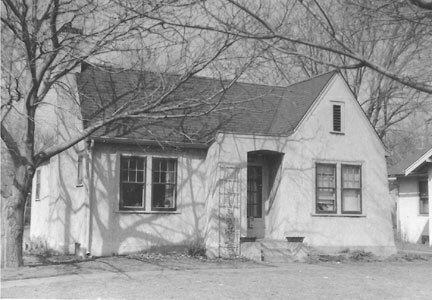 Fred P. and Madeline Olsen owned the house into the 1950s, although the rented it out, notably to the pastor of St. Luke’s Church. Fred was born in Norway and came to the US in 1922. In 1930 he worked as an auto mechanic. 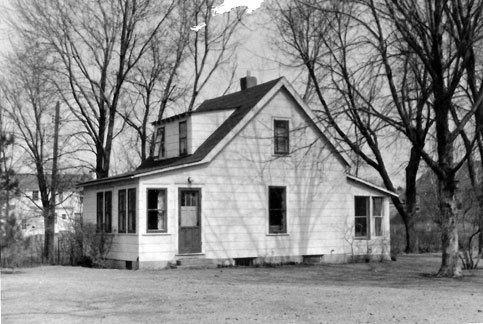 The house was removed for highway expansion in 1966. 4080 Vernon: 1951 * Built by or for Robert Keifer for $8,000. 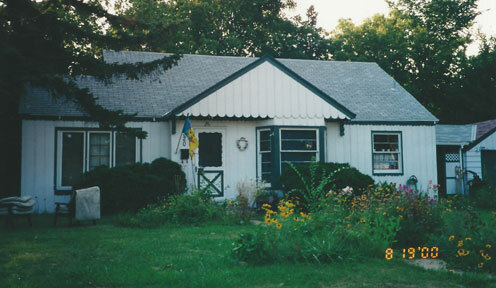 Home of William and Jean Konetski. St. Luke’s Church bought it in March 1966 and Semple Housemovers moved it on June 28, 1966. 4084 Vernon: 1923 * The 1930 census shows that this house was owned by Fred C. Lupien, who at the time was a fountain pen repairman. 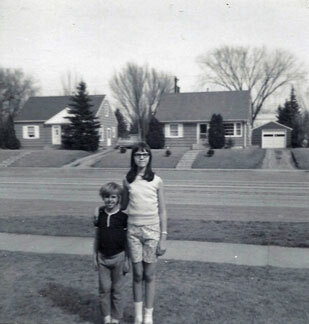 He later became a janitor at Brookside School. He and his wife Sadonia lived in the house for many years, with their sons Fred Jr. and John. They lived there until at least 1947. 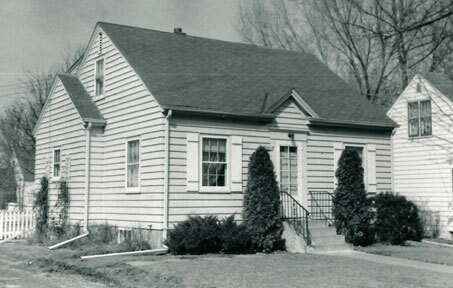 In 1960 the house was purchased by neighboring St. Luke’s Church for use as a Sunday School until their addition could be built. It was moved from the site on April 28, 1966, we know not where. 4088 Vernon * This house dates back to about 1920. 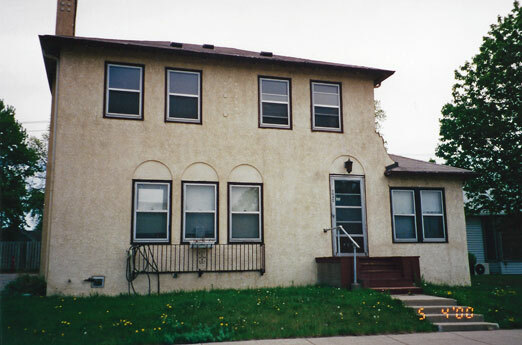 Records seem to indicate that it belonged to Herman J. and Selma Bolmgren beginning in 1926, although the 1930 census shows the Bolmgrens at 4070 Brookside and the house on Vernon rented to the Dale family (7 kids). H.J. was a foreman at Munsingwear and served as a Village councilman. Son Robert was a St. Louis Park firefighter. 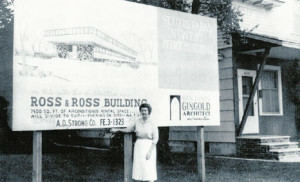 In 1954 St. Luke’s Church bought the property from Bolmgren. 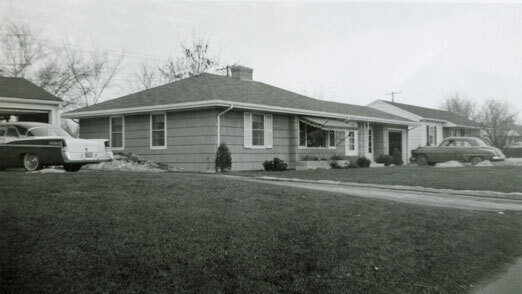 On November 29, 1955, the house was moved to 4185 Zarthan, where it sits today. 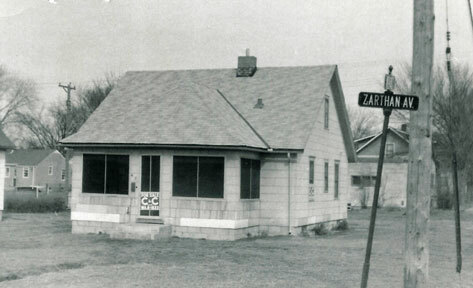 Below are photos from the Tax Assessor of the house on Zarthan, taken in 1957. 4134/4138 Vernon: @1933 * T.A. Bergh took out a permit to hook up this house to water in 1933, so it dates at least to then. This was the home of Andy and Lillian Isaacson, and then the Schear family. 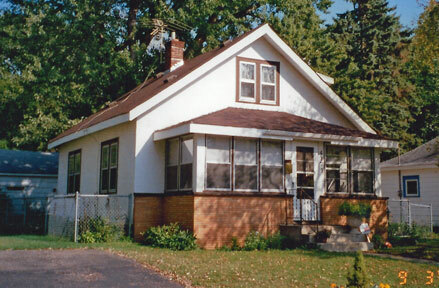 In 1950 the property was purchased by the School Board and it was movved to Garrison Lane in Edina, if Frank Motzko’s memory serves. The property became part of Brookside School’s playground. 4142/4144 Vernon: @1925 * From at least 1927 this was the home of the Tracy family. 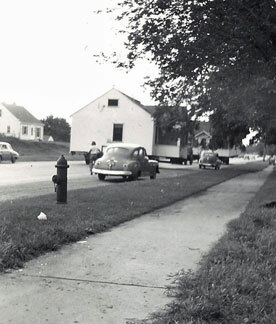 In 1946 Garrison Movers moved it to 4171 Webster Ave., behind Tom Motzko’s house. Motzko used it as rental property. The land was purchased by the school board to enlarge Brookside School’s playground. 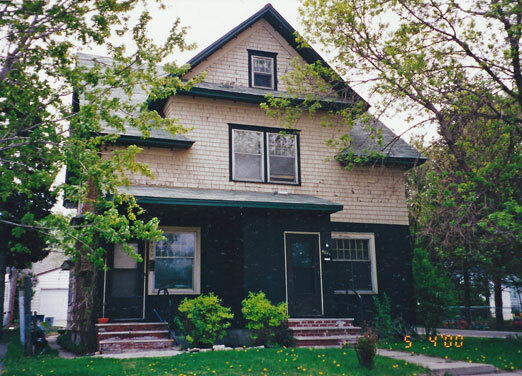 Here is the Tracy house at 4171 Webster in 2004. 4156 Vernon: @1933 * This house was occupied by Lloyd and Darwina Simon in 1933. It had one room, a screened porch, and summer kitchen. 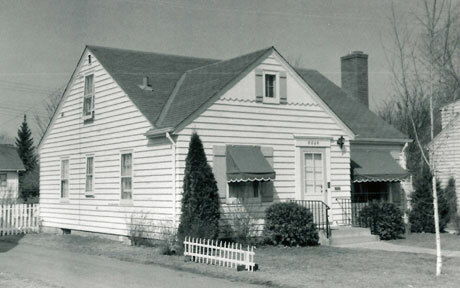 The Simons moved to 4205 Vernon (across the street) in about 1939. 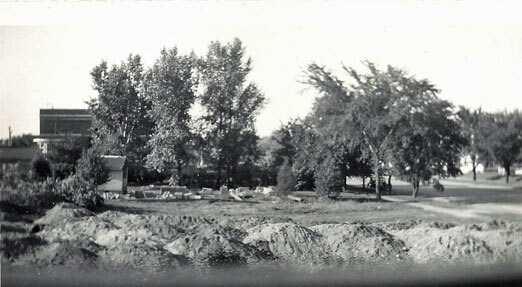 The house was demolished for the expansion of the Brookside playground. 4160 Vernon: Tom Motzko, 1940. 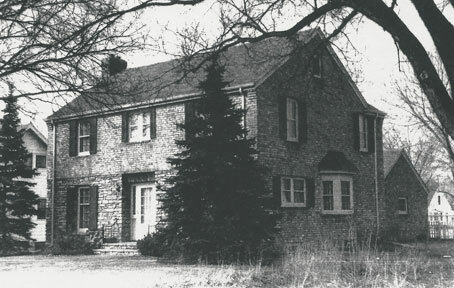 This brick house was the home of the Tom and Rose Motzko family. 4164 Vernon: 1920. 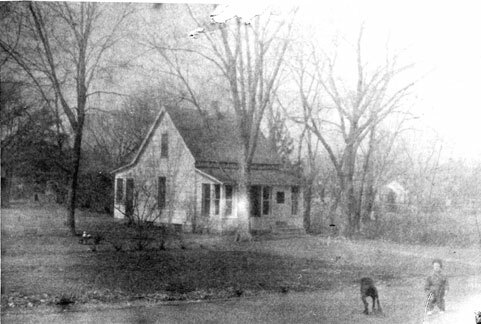 This was the Motzko homestead. Patriarch Tony Motzko bought it for his son Bill, but Bill went back to the farm in Delano so it went to Bill’s brother Tom. Tom lived here until he built 4160 Vernon next door. 4180 Vernon: 1923. 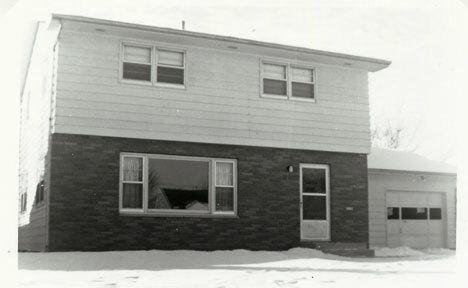 This was the home of the Frank Motzko family from about 1953 to 1969. 4200 Vernon: 1939. 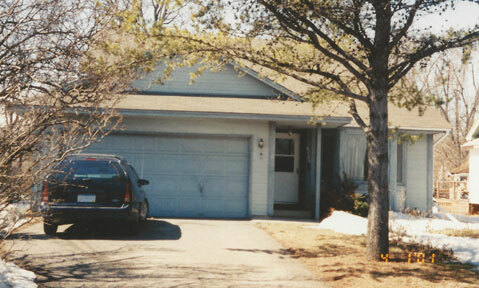 For decades this was the home of Roy and Joyce Woolsey. 4206 Vernon: 1939. 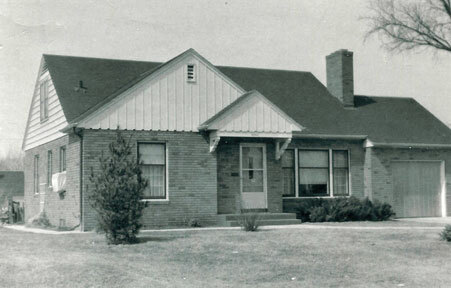 This was the home of Thomas Hays from the time it was built until at least 1953. It has been a rental for much of its life. 4216 Vernon: 1949. 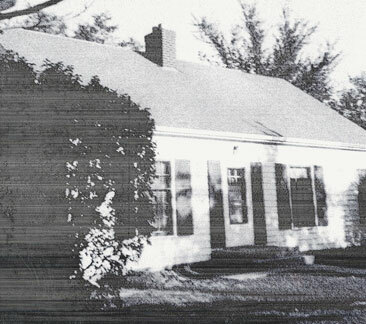 This was the home of the Buchholz family. 4220 Vernon: 1926. Early on this was the home of the Forbes family. This photo was taken when it was sold to Gerald and Almira LaPitz. 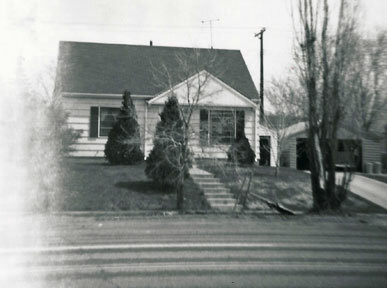 In 1980 the lot was divided to create 4226 Vernon. 4226 Vernon: 1988. Land subdivided from 4220. John Phillips Construction built the house in 1988. In 1947 the house was purchased by Palmer Anderson, a maintenance man who had a shed full of rusted large equipment in the back. City permit records indicate that after two years of trying to contact the person who inherited the house, it was forfeited to the City. Heir Jim Anhorn says that the house was left solely to him and that he got a real estate agent to sell it to the City for $7,000. Heir Mary Mate Rose Anderson deeded the house to the city in October 1973. At any rate in 1975 it was sold to James Fix, who, true to his name, renovated the lovely Victorian home. It has since been sold and resold. 4240 Vernon: 1949. The MacKenzie family lived here until 1962, and then the Forest and Barbara Stallman family lived here for about 50 years. 4246 Vernon: 1961. 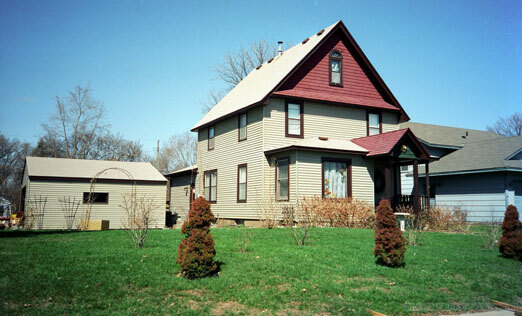 Built by owner Gordon K. Andersen and builder Herb Garbers. First occupied in October 1961. 4250 Vernon: 1947. Originally there was a barnlike structure on this property owned by Alberta M. Herreman. In 1947 Walter [James?] Peterson tore down the Herreman house and built the present hoe. 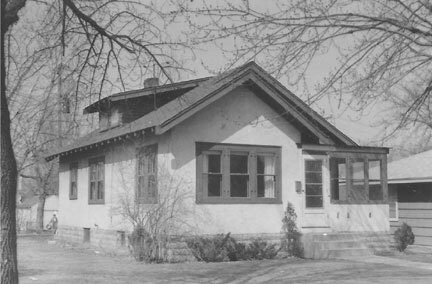 Peterson had lived at 5518 Vermont. When his wife Sigma died he built this house and married Alice. When Peterson died Alice married Ray Horton. Alice died in 1986. 4330 Vernon: 1908. Built by Mary Jane and Ellsworth Culver. 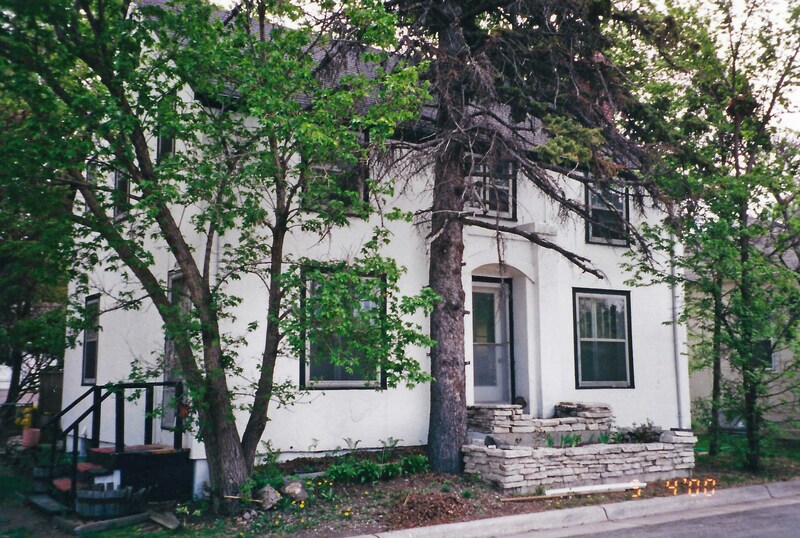 Their daughter Josephine described it as a “shack” built on three lots backing onto Minnehaha Creek. She still had the ad from the Minneapolis paper advertising Brookside lots. 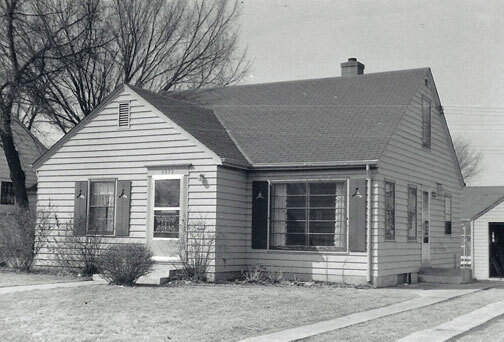 By 1954 it was still only a three-room home. David Setterholm built an addition in 1960 and many improvements have been made, but the original section of the house is still there. 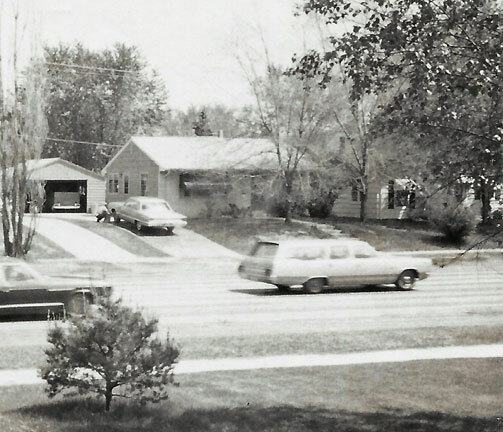 1957 – Unclear how this is situated on the lot, but it looks like there is a two-story house in the background, and that could be across the creek on Thielen. Also 1957. The boy and dog are on a road, but this house is much farther back on the lot – perhaps it was moved back closer to the creek? 2006 – The remnants of the original house are in the lower right corner, says Josephine. 4344 Vernon: 1952. This was originally a summer cottage, with a pump, outhouse, and Victory garden, owned by Harry C. and Violet Rompage. The original structure was right on Minnehaha Creek. 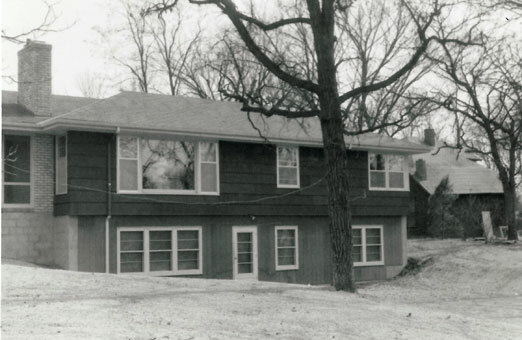 In 1952 son Harry S. and Eleanor Rompage built the current house. 4350 Vernon: 1919. 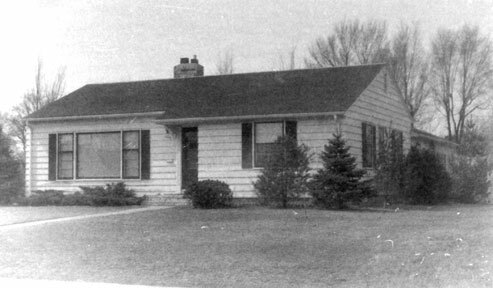 This was the home of Charles and Susie Ohme from at least 1930 to 1942. 4360 Vernon: 1908. This house was built by Elizabeth Kernan, sister of Harry Rompage (see 4344 above). She was a social worker from Chicago. It became the home of Alfred and Mildred Melbourne. Alfred had come to the US from England in 1922. Mildred was the Village Treasurer for many years. Her mother, Mrs. Hobe, lived with them for awhile and they named their son Hobe. 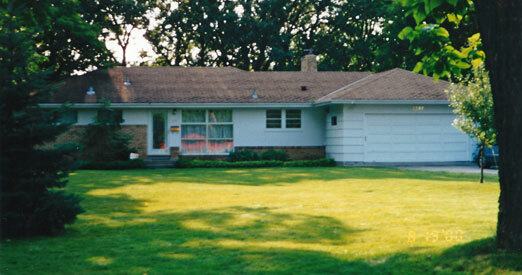 From 1958 to 1987 it was the home of Clyde Sorenson, who was Chief of Police for many of those years.